Pre-order Issue 26 which is out early Summer 2019 for £10 (excluding shipping) and get a free e-book copy. Order Issue 25 which is out now for £10 (excluding shipping) and get a free e-book copy. Order Issue 24 which is out now for £10 (excluding shipping) and get a free e-book copy. Order Issue 23 out now for £10 (excluding shipping) and get a free e-book copy. Order Issue 22 now for £10 (excluding shipping) and get a free e-book copy. Order Issue 21 now for £10 (excluding shipping) and get a free e-book copy. Order Issue 20 now for £10 (excluding shipping) and get a free e-book copy. Order Issue 19 now for £10 (excluding shipping) and get a free e-book copy. Order Issue 18 now for £10 (excluding shipping) and get a free e-book copy. Order Issue 17 now for £10 (excluding shipping) and get a free e-book copy. Order Issue 16 now for £10 (excluding shipping) and get a free e-book copy. Order Issue 15 now for £10 (excluding shipping) and get a free e-book copy. Order Issue 14 now for £10 (excluding shipping) and get a free e-book copy. 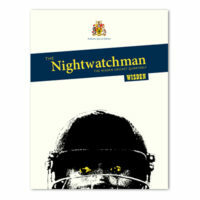 Order Issue 13, a County Cricket special, now for £10 (excluding shipping) and get a free e-book copy. Order Issue 12 now for £10 (excluding shipping) and get a free e-book copy. Order Issue 11 now for £10 (excluding shipping) and get a free e-book copy. LIMITED STOCK – Order Issue 10 now for £10 (excluding shipping) and get a free e-book copy. LIMITED STOCK – Buy Issue 9 for £10 (excluding shipping) and get a free e-book copy. LIMITED STOCK – Buy Issue 8 for £10 (excluding shipping) and get a free e-book copy. LIMITED STOCK – Buy Issue 7 for £10 (excluding shipping) and get a free e-book copy. 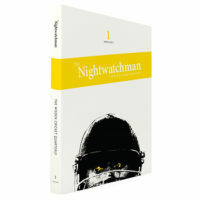 LIMITED STOCK – Buy Issue 6, a Lord’s special, for £10 (excluding shipping) and get a free e-book copy. LIMITED STOCK – Buy Issue 5 for £10 (excluding shipping) and get a free e-book copy. LIMITED STOCK – Buy Issue 4 for £10 (excluding shipping) and get a free e-book copy. LIMITED STOCK – Buy Issue 3 for £10 (excluding shipping) and get a free e-book copy. LIMITED STOCK – Buy Issue 2 for £10 (excluding shipping) and get a free e-book copy. LIMITED STOCK – Buy Issue 1 for £10 (excluding shipping) and get a free e-book copy. 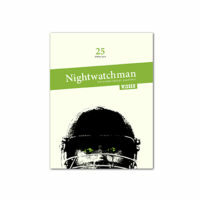 Buy an e-book of the 25th issue for just £5. Buy an e-book of the 24th issue for just £5. Buy an e-book of the 23rd issue for just £5. Buy an e-book of the 22nd issue for just £5. Buy an e-book of the 21st issue for just £5. Buy an e-book of the twentieth issue for just £5. 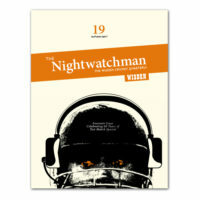 Buy an e-book of the nineteenth issue for just £5. Buy an e-book of the eighteenth issue for just £5. Buy an e-book of the seventeenth issue for just £5. Buy an e-book of the sixteenth issue for just £5. Buy an e-book of the fifteenth issue for just £5. Buy an e-book of the fourteenth issue for just £5. 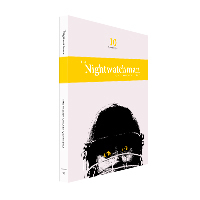 Buy an e-book of the thirteenth issue, a county cricket special, for just £5. Buy an e-book of the twelfth issue for just £5. Buy an e-book of the eleventh issue for just £5. Buy an e-book of the tenth issue for just £5. 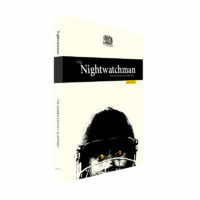 Buy an e-book of the ninth issue for just £5. Buy an e-book of the eighth issue for just £5. Buy an e-book of the seventh issue for just £5. Buy an e-book of the sixth issue, a Lord’s special, for just £5. Buy an e-book of the fifth issue for just £5. Buy an e-book of the fourth issue for just £5. 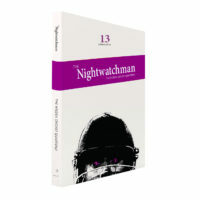 Buy an e-book of the third issue for just £5. Buy an e-book of the second issue for just £5. Buy an e-book of the first issue for just £5.